Despite the fact that our human existence relies on pregnant women and birth, there is surprisingly very little understood when a woman doesn’t fall within the “averages” and the “knowns.” We are all so different, and any woman knows that her body at some point will most likely not fall within the “average” range and when that happens, we must investigate. For humankind depends on this investigation. Whitney E. Boesel, a scientist by trade and QS’er by life fortunately has been tracking her own magical body both pre and post pregnancy and sharing her results with Quantified Self along the way. So, this is a two part post: pre-pregnancy and the next one will share a post-pregnancy discovery. Whitney wanted to have a baby and learned that she was “too late” to have children. However, by disregarding the average, she started tracking her AMH (and other hormones) as a result, but the most important things she learned had nothing to do with endocrinology. In her project, My Numbers Sucked, But I Made This Baby Anyway, Whitney discusses the abnormally low numbers and how she managed to conceive and give birth to a very healthy baby despite all of the odds against her. We hope you can join us to share your learnings from a project, or simply be inspired at this year’s Quantified Self 2018 Conference in Portland on September 22-23. Register here. 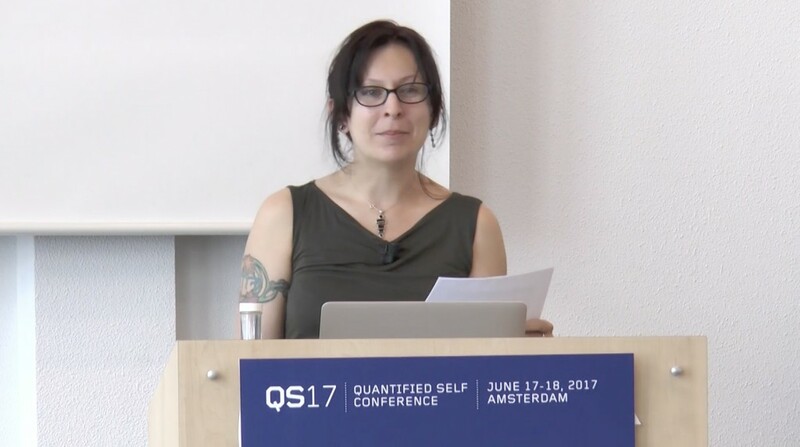 At QS17 Amsterdam, Whitney Erin Boesel shares her experience tracking anti-mullerian hormone (AMH) levels, currently considered the “Gold Standard” of women's fertility, and her successful pregnancy demonstrating the limitations of this fertility metric.